We stand with survivors, witnesses, and family members lost to genocide, mass murder and other extreme violence perpetrated by the governments of Nazi Germany and the Central American military dictatorships backed by the United States in the 1980s and 90s. We have come together in the name of advancing values like those contained in the Council’s core mission of preventing genocide. We call on you to continue the still urgent work of the Council’s Committee on Conscience: to “confront and work to halt acts of genocide or related crimes against humanity” and immediately remove Mr. Elliott Abrams from his committee seat on your Council. We cannot fathom how Abrams—a proven supporter of some of the world’s most nefarious perpetrators of genocide and mass murderers over the past 40 years—could be a member of your committee. Elliott Abrams participated in and sought to cover up some of the most inhumane acts of recent US foreign policy history. Memos released after the war in Guatemala reveal that Abrams was unconditional in his support of the Guatemalan military led by General Efrain Rios Montt, who killed thousands of Ixil and other indigenous peoples. Last September 26, a Guatemalan court declared that the U.S. policy promoted by Reagan officials like Abrams formally led to mass killings there that were defined as “genocide.” Mr. Abrams resume also includes providing support to Salvadoran military battalions and death squads responsible for the El Mozote massacre of over 900 civilians, including hundreds of children. He also supported Salvadoran governments responsible for countless other massacres of tens of thousands. How can the Committee on Conscience prevent future genocides if it has not come to terms with the involvement of one of its own members in supporting such atrocities? For these and many other reasons, we urge the United States Holocaust Memorial Museum immediately remove Elliott Abrams as a member of its Committee on Conscience. His presence on that committee and his affiliation with the Museum runs contrary to everything that you and your mission stand for. Join survivors of genocide and mass murder to demand that the Holocaust Museum drop Elliott Abrams from its Committee on Conscience. "Who is Elliott Abrams, US special envoy for Venezuela? Al Jazeera. February 12, 2019. "Elliott Abrams, U.S. envoy for Venezuela, faces combative House hearing as policy stalls.” Los Angeles Times. February 13, 2019. "Why is Elliott Abrams So Controversial?” AJ+. February 18, 2019. “Elliott Abrams Is Bringing Violence of 1980s U.S. Latin America Policy to Venezuela” Democracy Now! February 14, 2019. “The Guatemalan Genocide.” USC Shoah Foundation. “ What Did Elliott Abrams Have to Do With the El Mozote Massacre?” The Atlantic. February 15, 2019. 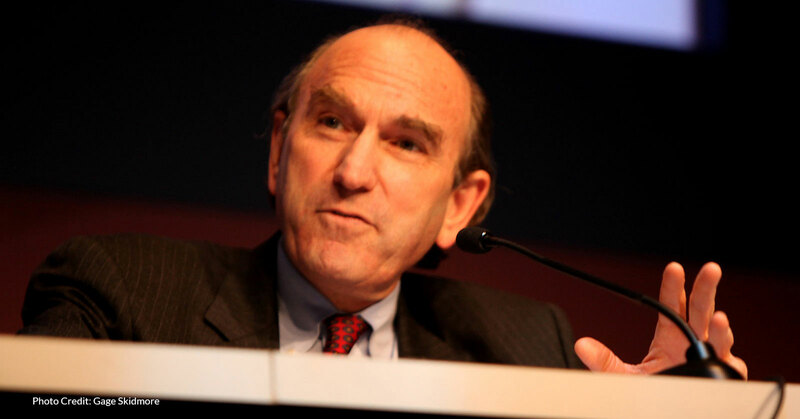 “The Tragic Life of the War Criminal Elliott Abrams.” Jacobin. February 16, 2019. “An Actual American War Criminal May Become Our Second-Ranking Diplomat.” The Nation. February 2, 2017. Committee on Conscience. United States Holocaust Memorial Museum.